When we decided it was time to buy our first home in Canada, little did we know that the ‘house purchasing business’ could be somewhat complicated. Complicated, not because it’s impossible, but because there are several elements that must go hand-in-hand to ensure the overall process is successful. You may be wondering, “isn’t it just getting a realtor and choosing a house from the many houses on sale?” Well, no! We didn’t find it that easy and straight-forward at all. Which was better financially: Rent or Buy? What was the condition of the real estate market? How much house could we afford to buy? Which house characteristics were a must? Which were negotiable? How much did we need for a home down payment? How much money did we need in addition to our down payment? Who to approach first? The bank/lender? A realtor…? My first home buying experience was an eye opener for me: buying a house in Canada was a lot different from the system I was familiar with (being an immigrant to Canada) and I needed to do a lot of reading and research to ensure we were making the right decisions every step of the way. We did end up buying a house that we love and which meets the immediate and near-future needs of our family. The knowledge I gained from reading countless resources online, talking to ‘more experienced’ folks who had already gone through the process, and through learning from mistakes made while house hunting is what I have detailed in this house buying guide. Today, I definitely have a more robust understanding of how to go about buying real estate in Canada. In this complete house purchase guide, I break down how to buy a home into a simple step-by-step process. I have also included some checklists you can follow as you proceed with looking for your dream home. While my focus is on newcomers to Canada, the information contained in this post is useful to everyone, including non-residents, permanent residents, and citizens of Canada! Step 1 – Is Homeownership Right For You? Step 4 – How Much House Can I Afford? 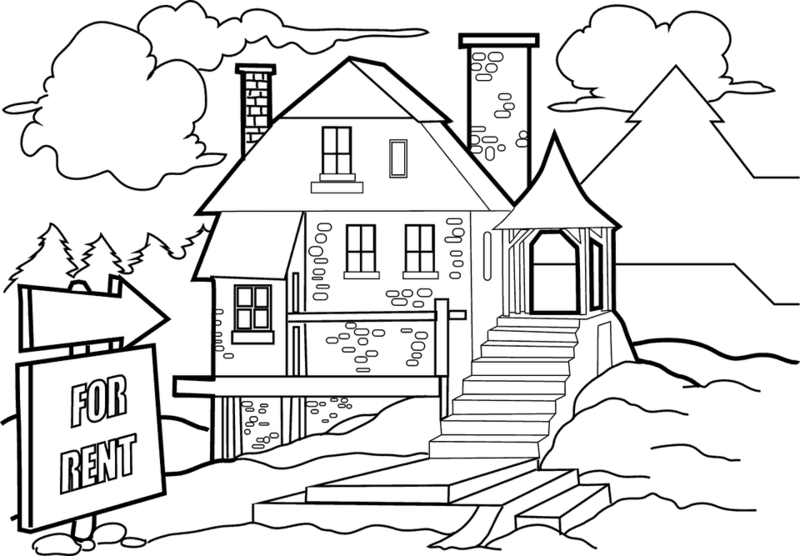 Step 6 – Buying A Home? Remember the Closing Costs! One of the questions that bothered me for months before we finally decided to buy a home was: Does it make sense to buy a home or should we just rent a bigger apartment? While the idea of owning a home may bring feelings of warmth, accomplishment and success, it may not always be the smartest thing to do based on a “financial or investment” rationale alone. The Rent vs. Buy debate is a valid one and it’s worth taking a look at some of the arguments made by staunch supporters on both sides of the divide. 1. Mobility: While a renter can simply change their apartment or house when the lease is over, it’s not as easy for a homeowner. 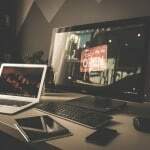 For the individual whose work location can change very easily, or the adventure-seeking millennial, the stability that is found in a “brick and mortar” house may become a liability. Selling a house comes at a cost, especially if you have to sell the house in a hurry or in less than 5 years after purchase. 2. Less responsibilities: Homeownership comes with a lot of responsibilities. You are stuck with paying for fixing everything, including that blocked toilet. Repair work, updates, and maintenance costs add up over time. For the renter, the landlord is usually on the hook for most repairs. 3. Fixed expense: The renter can budget for their monthly expenses as their rent is usually fixed for a known period. Sometimes, utilities are also included in the rent, making budgeting relatively simple. Not so for the homeowner! While your mortgage cost may be fixed; utilities, taxes, insurance, the-ever-waiting-to happen surprise costs (e.g. roof suddenly springs a leak, frozen pipes and a flooded basement, broken garage door, etc.) add to an increased expense that the homeowner cannot easily budget for. 4, Opportunity cost of money: The opportunity cost of not investing the funds that will be spent on taxes, insurance, condo fees(if applicable), repairs, closing costs, down payment, and so on can be significant. 5. Potential higher returns on investment: Real estate (your home) can be considered a type of investment. Historical studies of average returns in real estate put it at just about the rate of inflation as shown by studies carried out by Yale professor and Nobel Laureate Robert Shiller in his book, Irrational Exuberance. On the flip side, if we assume that a disciplined renter puts all their savings from renting into the stock market and makes average historical real returns of 5.7% (after accounting for inflation), this means that they come out on top. 6. Diversification: A house is easily the biggest investment of the average homeowner. Imagine the disappointment felt by the U.S. homeowner who had no other portfolio except their house when the housing market crashed in 2007 – 2008 and the perceived wealth in the home fell drastically. Of course, stock markets, in general, were not spared from this crash. However, if your sole purpose for buying into real estate was about the investment benefits, as a renter, you could easily invest your “extra” funds into a diversified and more robust portfolio of financial assets including Real Estate Investment Trusts (REITs). 1. A major long term investment: The average homeowner considers their home to be an investment. House prices rise over time and if you live in your house long enough and sell while the market is hot, you can make significant returns on your investment. However, except in unique circumstances, the returns generated from the sale of your house are likely to be less than the stock market returns over the same period. 2. Pride of ownership: Few things signal you “have-it-made” like buying your first home. Society has taught us to respect and value homeownership. For the millennial buying their first home, it brings a sense of maturity, responsibility and satisfaction. While these intangibles may not be easy to quantify in dollars, they are definitely important! 3. Discipline to save: The rationale that the renter can generate more in returns by investing their “excess” cash in the stock market is predicated on the assumption that they are actually doing some investing. It takes discipline for a renter to put all the savings they have from renting vs. buying to work by investing them. However, for the homeowner, the discipline to pay your mortgage, even when inconvenient comes easily. Not paying your monthly mortgage obligation means you lose the roof over your head – it’s as simple as that! Homeownership forces you to save in your home. 4. Build equity: Let’s look back at investing. A homeowner builds equity in their house over time. They can borrow against that equity at competitive rates and use the money to do other things, including investing it in the stock markets. 5. Income potential: Owning a home is not only about expenses. A homeowner can also start receiving an income from their home on Day 1 by renting out a portion of the house – for example, by renting out a room or the basement. They can do short-term renting of the entire house while on vacation, etc. With the advent of services like Airbnb, this has become pretty easy to do. The income earned can be used to partially offset monthly mortgage payments or increase payments and lower the amortization period. We can go on and on about the advantages and disadvantages of renting vs. buying and if homeownership is right for you or not. There is, however, no simple answer. 1) Am I ready to put down roots? As the primary breadwinner in my family, I had to consider my job situation. Was it permanent and long term? What were the chances that I would be looking for a new job in 5 years or less? Is this a city/province we would like to settle in? Of course, you cannot reliably predict the future 100%. However, your answer to these questions can make or break your final decision. I wanted to know how much extra homeownership would cost me compared to what I was spending on renting. Can I afford the additional expenses? Are the benefits of homeownership worth the extra expense? Does it make financial sense? This involved doing the math to assess how much we could afford to spend on a home What if the mortgage rates rise by 1 or more percentage points? Can we still afford the house? Buying a home is more than just running financial calculators. The rent vs. buy debate has probably been on before you were born, and will likely continue long after you are gone. At the end of the day, you have to do what is right for you, and for your family! Before we go into the nitty-gritty details of how to go about your home purchase transaction, let us quickly familiarize ourselves with a few of the mortgage terms you will keep coming across as you read on. A mortgage refers to the loan that the lender (bank) provides to you for the purchase of a home (real estate). Because large sums of money are usually involved in these transactions, a mortgage also serves as a lien on the property. This means that the property or home you have taken a mortgage on is also considered collateral or security in exchange for the loan. Therefore, if you are unable to pay back the lender or meet the terms of your mortgage contract, the lender has the right to take possession of the property. A mortgage is comprised of two parts – the “principal” which refers to the amount borrowed and “interest” which is the cost of borrowing from the lender. After paying off your mortgage loan, the house becomes yours 100%. Mortgagee is a term that refers to the lender (bank) who provides the loan to finance your house purchase, while mortgagor refers to you, the borrower. It is easy to confuse a mortgage broker with a lender. They are different! The broker doesn’t loan you money and only serves as an intermediary between you and the lender. Their service to you includes shopping around for the best rates, giving advice and assisting with putting together and completing required documentation. Mortgage brokers are generally paid commissions by the lender for their service. For non-prime mortgages, brokers may also charge a fee. Major lenders also provide mortgage services directly clients via their own in-house mortgage advisors. There are pros and cons of using a mortgage broker vs. working directly with a big bank. This is a financial institution that lends money for a mortgage. They may be a bank, credit union, trust company, mortgage finance company, etc. An open mortgage is one that can be paid off either in part or in full at any time before the end of the term stipulated in the mortgage contract without incurring penalties. This type of mortgage may be appropriate for you if you plan to pay off your mortgage in full within a very short period of time or plan to change the terms of the mortgage. Open mortgages are not as common as closed mortgages because not many people are able to pay off hundreds of thousands of dollars really quickly. Because of the increase in options available to the borrower, open mortgages usually have a materially higher interest rate than for a closed mortgage. A closed mortgage is the more common type of mortgage and offers limited prepayment options compared to the open type. However, you are usually given room to make some additional mortgage payments either monthly or annually up to a specified maximum of 5% to 30% of the original mortgage amount. ⇒ Prepayment: When you make a payment that is outside your regular mortgage payments in order to lower or pay down the principal owed on your mortgage, you are considered to have made a prepayment. Prepayments reduce the overall interest you pay on your mortgage loan and also shorten the length of the amortization period. When your down payment is 20% or more of the purchase price of the home, your mortgage is referred to as conventional and you are not required to obtain mortgage default insurance. This type of mortgage is also referred to as a traditional or low-ratio mortgage. On the other hand, a high-ratio mortgage is when the borrower has a down payment that is less than 20% of the purchase price of the property. Since the loan-to-value ratio is higher than 80%, you are required to insure your mortgage loan. Two of the largest providers of insurance in Canada include Canada Mortgage and Housing Corporation (CMHC) and Genworth Canada. The mortgage default insurance is an additional cost to you. You can choose to either pay it upfront or do what most people do, add it to your mortgage loan! To determine how much mortgage default insurance you will require, check out this CMHC calculator. ⇒ Down Payment: Is the amount of money you put down towards the purchase of a house. The down payment is the difference between the purchase price of the house and the amount of the mortgage loan. Is insurance designed to protect lenders if borrowers default on their mortgage loan. It is a mandatory requirement for all residential mortgage loans with a loan-to-value ratio of more than 80% (i.e. when the down payment is less than 20 of the purchase price). Some lenders also insure their low-ratio mortgages, typically at the lender’s expense. ⇒ Loan-To-Value Ratio: The ratio of the mortgage loan compared to the appraised value of the home or the purchase price. 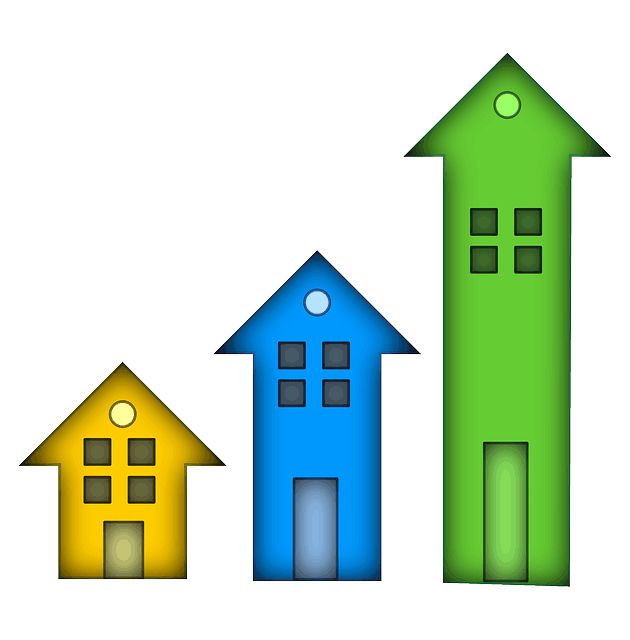 The two main types of mortgage rates are fixed or variable rates. When you obtain a fixed rate mortgage, it means that interest rate on your mortgage loan is fixed for a period of time, usually between 1 and 5 years. Your monthly mortgage payments that include interest and principal stay the same for the term of the mortgage. Fixed rate mortgages are the most popular mortgage type obtained by Canadians and account for about 66% of all mortgages. Your mortgage obligations are predetermined/fixed for the entire mortgage term which makes it easier for you to budget and plan your finances. You are protected against a rise in interest rates until maturity. A downside to fixed-rate mortgages is that interest rate is usually higher than for a variable rate mortgage of a comparable term. You may also have to pay more in penalties if you break your mortgage. For a variable rate mortgage, the interest rate on your loan fluctuates with the prime rate set by the lending institution. The prime rate which usually tracks the overnight rate set by the Bank of Canada may change from time to time. Variable rate mortgages can either be set as “prime plus(+)” or “prime minus(-).” Like its fixed rate counterpart, your monthly payments usually also remain unchanged for a variable rate mortgage. However, the proportion of mortgage payment applied towards principal and interest will vary as the interest rate varies. For example, if the interest rate rises and your variable mortgage rate goes up, more of your monthly payment will go towards paying interest. Historical studies have shown that variable rate mortgages save homeowners money in the long run. Another type of floating-rate mortgage is the Adjustable Rate Mortgage (ARM). In that case, your payment rises and falls with the prime rate. If interest rate falls, you will benefit from paying off more of your principal loan (assuming it’s a variable-rate mortgage and not an ARM). It is cheaper to break or renegotiate your mortgage. A downside to a variable rate mortgage is that there is a higher short term risk that interest rates may rise. After you take out a mortgage loan to finance your house purchase, you are required to make regular scheduled payments that will include both principal and interest owed. You can choose to make payments on a weekly, bi-weekly, semi-monthly or monthly basis. You can also decide to accelerate your payments so as to pay off your loan much quicker and therefore pay less interest overall, for example, through accelerated bi-weekly payments. Check out this article for tips on how to pay off your mortgage faster! Your lender will ask you to submit a void cheque so they can setup automatic withdrawals from your bank account. To avoid any issues with funds being insufficient when the withdrawals take place (and NSF fees! ), I set up my bi-weekly payments for the next business day after my paycheck hits my bank account. While amortization refers to the total number of years it takes to pay off your entire mortgage, a mortgage term is the length of time (usually in years) during which you (the borrower) are bound by the conditions (e.g. rate) of a mortgage contract. The most common mortgage term in Canada is a 5 year fixed term. At the end of your mortgage term, you must renew your mortgage for another term with similar or different conditions. You continue doing this until the mortgage is fully paid up. Therefore, a mortgage term is a subset of the amortization period. This is the number of years it’ll take to pay off your mortgage loan in full while making your regular mortgage payments. The most common amortization schedule in Canada is 25 years. Longer amortization periods (up to 30 years) are available in some cases. Longer amortizations are helpful if you need more flexibility in your cash flow. They let you redirect funds to their best use, which may include paying down higher interest non-mortgage debt, investing in your RRSP or TFSA, etc. Occurs at the end of a mortgage term and you “renew” so as to set up another mortgage term with new conditions and terms agreed to by you and the lender. You can renew with the same lender or switch (transfer) to a new one. This refers to a mortgage that can be transferred from one property to another without incurring penalties. For example, when you are selling your current house and purchasing a new one. It may be important to have this option included in your mortgage contract if you think you may need to change houses or relocate during the term of your current mortgage. Alternatively, you can just choose a shorter term. The feature comes in handy if your current interest rate is lower than the prevailing rates at the time you are purchasing a new home. Pro Tip: Some credit unions restrict porting to within their provincial lending area, which is important if you might have to move out of province. Also, keep in mind that porting requires that you totally requalify for the new mortgage. Buying a home should not be one of those things you just wake up one morning and decide you want to do. Remember that a mortgage is easily the largest debt you will ever take on in your life! Carefully planning ahead (for several months or even years) can make a world of difference and make your house shopping experience a successful and memorable one. Start your planning by conducting a thorough personal financial assessment. Ensure that you are financially sound before you approach the lender (bank) for a mortgage loan. What is my monthly gross income? What are my debt obligations? How stable is my employment? Do I have access to liquidity (e.g., savings) if my income is interrupted or I have a major non-housing expense? How much do I have left to spare every month after paying all my bills, including other monthly expenses such as childcare fees, car insurance, gas, etc.? What are my current monthly savings/investing obligations? These may include putting money aside in an emergency fund, saving in your Tax-Free Savings Account (TFSA), funding your retirement account (RRSP), etc. How much more can I pay over my current “rent” while meeting all obligations and living comfortably? How much do I already have saved towards a down payment? What is my credit score? Do I need to improve my credit in order to qualify for a mortgage loan at competitive rates? The purpose of this financial assessment is to determine if you are ready and able to buy a house and how much house you can afford. In addition to answering the financial questions above and putting your finances in order, you should also be asking questions that pertain to the house itself. The questions you will need answers to depend on your personal circumstances, lifestyle and family requirements. Your answers will also impact the financial outcome of your decisions. What type of home meets my needs now and in the future? How big (square footage)? How many bedrooms? Bathrooms? Indoor or outdoor garage? Parking for how many cars? Family members with special needs? New home or previously owned? Starter home or permanent home? etc. Location, Location, Location!!! What neighbourhood do you want to buy into? Family-friendly (if you have kids)? Schools nearby? Are amenities available? Closeness to parks and recreation? Shopping? Neighbourhood character? Crime rate? and so on! When you approach the bank and request a mortgage loan, they’ll determine how much they are willing to lend to you. However, before you get to that stage, this is the point where you have that honest conversation with yourself after doing the math about how much you can afford to borrow. How much are you able to put down towards your mortgage payments on a monthly basis without feeling pinched? It is never a good idea to buy that “dream home” and then start living from hand-to-mouth, a nerve-racking situation also referred to as being “House Poor”! This ratio combines your monthly housing costs including mortgage payments (principal + interest), taxes and heating costs (PITH) plus 50% of your condo fees, if applicable, and divides them by your monthly gross income. Preferably, your total housing costs should not exceed 32% of your gross income. However, some lenders would allow a GDS ratio of up to 39%, or even higher if you pay non-prime interest rates. Following from the GDS ratio, lenders also look at what your entire monthly debt load looks like. In addition to housing costs, they add other fixed monthly debt obligations like credit card and lines of credit payments, alimony, child support, car payments, student loans, etc. The maximum allowable TDS ratio is 44%. However, you should aim to keep TDS to 40% or less of your gross monthly income. 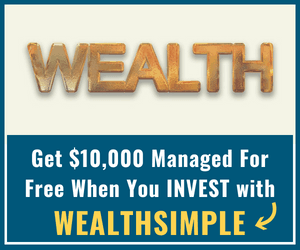 Using the same analogy above, on a monthly gross income of $10,000, your entire monthly debt load should not exceed $4,000. There are several calculators and tools online that you can utilize to simulate what your homeownership costs will be. Compute how much you will potentially be spending on a monthly basis and try to part with that amount for a couple of months to see if you can cope. You can also utilize the CMHC calculator for GDS and TDS here. **It’s notable that the stress test helps ensure you can afford a house, but TDS calculations don’t factor in non-debt expenses and the potential for partial/full income loss. A credit score is a three-digit number ranging from 300 to 900 points. A credit report is a summary of your use of credit and debt including credit cards, personal loans and mortgages. It details when you opened your credit facilities, how much you owe, whether you make payments on time or miss payments, credit enquiries on your account, and much more. Credit scores are utilized by lenders to assess the creditworthiness of a borrower i.e. the probability that they could default on their loan. Having a high (very good to excellent) credit score will help you qualify for competitive interest rates and terms because lenders view you as being a lower credit risk. You’ll usually need at least a 680-700 credit score to get the best mortgage rates. There are several strategies you can deploy to improve your credit score before approaching the bank for a loan. Some things you can do to keep your credit score looking great include paying your bills on time, increasing your credit limit, keeping credit cards open, and diversifying your credit mix. Having a solid credit score is not something that happens overnight. You can also read my detailed articles on ways to improve your credit score and how your Canadian credit score is calculated. 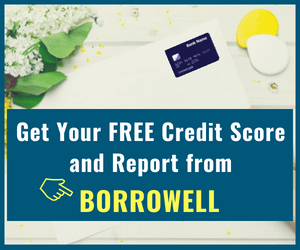 You should request and review your free credit report regularly so you are updated on how lenders view your financial health and also start working on clearing out any kinks or errors, if required. Banks/lenders are often willing to lend you more money than you should be spending on a home. This is why you should definitely be asking yourself the questions I posed earlier and ensure you have satisfactory answers to them before proceeding. As you should be well aware, you need to bring something (cash!) to the table when buying a house. In Canada, depending on the purchase price of the house, you are required to pay down a minimum of 5% or more of the value of the property before closing. Planning ahead for your down payment is a part of the financial planning that should be done before you start shopping around for a house. Let’s start with basic old-fashioned savings. To save up for your down payment on that “dream house”, start with setting a savings goal, budgeting and then spending less than you earn. Cut your expenses, open a savings account, and start saving. Setting up an automatic saving schedule can help with sticking to the plan and staying disciplined. There are several ways different people can cut their expenses. A few that come to mind include: packing a lunch for work and eating out less, spending less on luxury items, avoiding expensive vacations, etc. If you are at least 18 years of age, you are eligible to contribute to a TFSA account. The TFSA comes with a lot of advantages including that investment income earned is tax-free and you can withdraw funds from your account at any time without any tax implications. TFSA contributions can be carried forward from one year to the other. If you have never contributed to a TFSA (and have been eligible since its inception in 2009), your total contribution room in 2019 is $63,500. You can invest in almost anything through your TFSA including mutual funds, Guaranteed Investment Certificates, stocks, bonds, high-interest savings account, etc. Since interest earned on investments in a TFSA savings account is tax-free, your savings goal may be realized earlier. Remember to tailor your investments with your investing time frame in mind. You can borrow up to $25,000 from your RRSP in order to purchase your first home. This is made possible through the Home Buyers’ Plan (HBP). With this plan, a first-time homebuyer can dip into their RRSP and withdraw up to $25,000 (or $50,000 for a couple) for use towards the purchase of a home. You have up to 15 years to repay the amount withdrawn back to your RRSP. Repayments to your RRSP are expected to start from the second year after you made the withdrawal. If repayments are made as at when due, there is no tax implication or penalty for withdrawing the funds. Read more about RRSP’s here. 15% of Canadian first-time homebuyers who bought homes between 2014 – 2016 received some level of financial assistance (gifts from parents and family members). Saving monetary gifts can go a long way to meet your down payment savings goal. Additionally, saving other windfalls that come your way such as a bonus or raise at work, will help you reach your savings goal much faster. Have you been considering taking on that side gig or freelance work? Well, maybe it’s time to get on it. Increasing your income will definitely make it easier for you to meet your down payment savings goal. Consider selling off items you no longer need on portals like Craigslist, Kijiji, etc. This way, you can de-clutter and increase your savings at the same time. Doesn’t get any better than that, eh? When you file your taxes, what do you do with the tax refund? Depending on your income, tax deductibles, RRSP contributions, etc., a tax refund can make a significant impact to your down payment goals. If you plan on utilizing the Home Buyers’ Plan, maximizing your RRSP contributions will increase your tax refund as well as increase the funds in your RRSP that are eligible for withdrawal. How much down payment should I budget for? The answer to this question is easy – as much as you can afford to put down! While there is the minimum 5% down payment required when purchasing a house that is $500,000 or less, the higher the down payment you can put down, the lower the interest you will pay over the life of your mortgage. Additionally, if your down payment is less than 20% (i.e. high-ratio mortgage), you must obtain mortgage default insurance which becomes an additional add-on cost of home ownership. In the long-run, the decision is yours to make. When we purchased our home, the 5% down payment was all we could afford plus closing costs. Therefore, we were required to obtain mortgage loan default insurance. As we planned to buy a house, the down payment was the main cost on the forefront of our deliberations and financial planning. That was until I came across the term “closing costs” while surfing the internet one cold wintry day! Uh oh! What?! My reaction was one of surprise when I realized that this unexpected additional costs easily amounts to another 1.5-4% of the purchase price of the house. Well, dear reader, don’t be caught off-guard. Closing costs on a house should be part of your planning early on. Tip: Closing costs are additional expenses incurred when buying a home. These costs can add up to anywhere from 1.5% to 4% of the purchase price of the property. While not mandatory, having a professional home inspection done is smart, especially if you are a first-time buyer. The home inspector will inspect the condition of the house with respect to structure, plumbing, ventilation, heating, etc. A full home inspection will cost you approximately $500 on average plus GST/HST. Your mortgage lender may require you to obtain a professional appraisal of the property to determine its worth. A property appraisal may cost anywhere from $250 to $500. Some lenders choose to pay the appraisal fee. Insured mortgages generally don’t require an appraisal since the insurer auto-values the property, which saves you a little money. A survey shows the boundaries of the land and indicates the location of major structures and any encroachments on the property. A mortgage lender may require that you provide a survey or you may just want one for keeps to ease your mind, especially if newer structures or additions have been added to the house. A survey costs between $1000 and $2000. Title insurance covers potential issues that may arise after the purchase from title defects, survey errors, existing liens on the property, encroachment issues, zoning issues, etc. Title insurance will set you back $300 or more. Land transfer tax is charged whenever you buy a home. The cost varies based on the province and is usually a percentage of the purchase price. Some provinces (including Alberta and Saskatchewan) do not charge a traditional LTT, while some cities (e.g. Toronto) charge an additional municipal land transfer tax. Land transfer taxes are easily the second largest expense after the down payment when considering closing costs. In Winnipeg, for example, buying a $425,000 house would attract $6,150 tax bill. 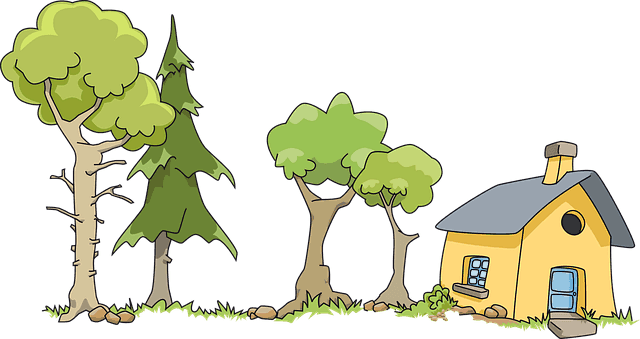 You can utilize this land transfer calculator to get an estimate. A lawyer is required to help you sort through the legal paperwork to ensure it is accurate and makes sense. Your lawyer will also likely carry out a title search and sort out the title insurance on your behalf. These costs may be billed separately or combined with the legal fees. Clarify this with your lawyer before you start. Legal fees vary, with basic fees starting at around $500. After incorporating other expenses including mailing, photocopying, etc., expect your final bill to be approximately $1000 to $1500 or more. A statement of adjustments is drawn up by your lawyer to ensure that prepaid costs like utility bills, property taxes, condo maintenance fees, and other bills are adjusted fairly. The seller gets a credit back if they have already paid some bills past the date when you take ownership of the property. Mortgage lenders will ask for proof of a home insurance before they release funds on closing day. Home or property insurance covers the cost of replacing your home and its contents. It may be billed monthly or annually. The cost will vary depending on the value of your home, its contents, location, type of coverage required, your deductible, presence/absence of an alarm system (fire and burglary), etc. If you put down less than 20% of the purchase price as down payment, your mortgage is considered a high-ratio mortgage and requires that you buy a mortgage loan insurance. The premium can be financed through the mortgage, however, where applicable, the Provincial Sales Tax/Harmonized Sales Tax on this insurance must be paid up front. You can calculate the amount of your CMHC mortgage loan insurance here. If you are buying a brand new house, you may be subject to both federal and provincial taxes. The tax is often incorporated into the sale price, but it’s better to confirm before proceeding. You may qualify for a partial rebate on taxes when filing your income tax return, but you will need to pay it up front when buying the house. While this is an ongoing annual cost, you may be required to pay back a significant amount to the owner in adjustment costs if they have already paid the full taxes for the year in advance. Property taxes are required on a house you own. The tax is levied on an annual basis by the municipality where your house is located and must be paid either monthly or annually. The amount of property tax differs based on the assessed value of your home. This fee is applicable if you are buying a condominium. Also known as status certificate, the estoppel certificate is a document detailing important information relating to the specific condo unit and the condominium corporation. The information includes bylaws, rules and regulations, insurance information, property management and ownership, financial statements, etc. This fee may cost up to $100 or more. There are many other direct and indirect costs of buying a house. They include moving costs, new appliances, decorations and new furnishings, renovations, repairs, utility hookup fees, hand tools, vent cleaning, house cleaning, and many more. These costs may range anywhere from a few hundred dollars to several thousand dollars. You should plan for them in your budget. From the list above, you can see why it is not a good idea to forget about how much funds you really need to have at hand when buying a house. If you were initially planning on saving down 5% of a $350,000 mortgage i.e. $17,500, adding on a further 1.5-4% now puts your savings goal at $22,750 to $31,500. Closing costs are not optional. Trust me! You will likely spend all the funds you have set aside for this expense. Obtaining a mortgage pre-approval is a key step in your plan to buy a home. It starts with finding a lender who is willing to provide you with a mortgage loan and put a number to exactly how much they are willing to lend you, with conditions. There are two terms you may come across when you approach a lender/mortgage broker: mortgage pre-qualification and mortgage pre-approval. There are significant differences between the two, and what you really want to have in place is a mortgage pre-approval. This is different from mortgage pre-approval. It is an initial step in the mortgage process where you meet with a mortgage broker or advisor and discuss your plan to get a mortgage. The lender will ask for information relating to your income, assets and liabilities. Without requesting hard evidence of your finances or running a credit check, the lender will give you an estimate of how much you may qualify for. There is no commitment on the part of the lender and their assessment may change once they have more information on your financial position and credit history/score. This is a step ahead of mortgage pre-qualification. Here, the lender is going to ask for documentation relating to your assets, income and liabilities. They’ll also access your credit records/score after obtaining your consent. Once pre-approved, the lender will determine the maximum amount they are willing to loan you, subject to certain conditions. You’ll be able to lock-in a mortgage rate against increases for a period of time and the lender may provide you with a written confirmation or pre-approval certificate. Saves you time: Having a pre-approval gives you an idea of how much house you can afford and what the potential monthly mortgage payment will be. This will narrow down your search and save time. Realtors take you seriously: Real estate agents do not want to waste their time on buyers who are not “finance-ready”. When you have a mortgage pre-approval, realtors consider you to be a serious buyer and are more willing to assist you through the buying process. Lock in mortgage rate: A mortgage pre-approval will lock in mortgage rates anywhere from 90-130 days. This means that if interest rates rise during this period, your mortgage lender will honour the lower locked-in rate. If their mortgage rates fall, they will adjust your rates lower accordingly. Essentially, you are hedged against a potential spike in rates for 3 to 4 months. Sellers are willing to negotiate: A seller may give your purchase offer priority if you have a pre-approval letter or certificate showing that you are likely able to close the deal. They may also be willing to negotiate on price and other terms than they would with a buyer who doesn’t have one. No commitment: Getting a pre-approval is free and doesn’t mean that you are committed to obtaining your mortgage through the lender. There are no financial repercussions or penalties if you choose to go with another lender or even decide to postpone your house purchase plans. Your personal information and identification: Photo ID and Social Insurance Number. Proof of income: Pay stubs, T4 slip or Notice of Assessment. Employment verification: A letter of employment stating your current position, salary, type of employment (temporary or permanent) and length of employment. If self-employed, you may be required to provide additional documents including financial statements for your business. Proof of down payment: Recent bank and investment account statements. Proof of other assets: Vehicles, property, jewelry, etc. Debts and liabilities: Including credit card balances, lines of credit, student loans, car payments, personal loans, liens, spousal or child support, current monthly mortgage or rent obligations. They will also run a hard credit check with your consent. This is done to determine your overall creditworthiness. If you are buying a house with a spouse or partner, they will also be required to provide all the above documentation. When obtaining a mortgage pre-approval, you should also be clarifying what the conditions of the mortgage are: rate, term, prepayment options and penalties, mortgage portability, appraisal fees, broker fees (if applicable), other fees, etc. You lose your job or change jobs. Your credit score takes a hit e.g. you miss bill payments on a loan. You add new debt or credit – obtaining a new credit card, line of credit, new car lease, etc. will jack up your debt to income ratios and may also adversely impact your credit score. Providing false or partial information about your financial position that becomes evident at closing. You do not have adequate cash reserves to cover your closing costs. If you are unable to find a house you like or close on a deal within the rate-lock period (90-120 days) contained within your pre-approval certificate, you may be able to reset the pre-approval to extend the rate for a few more months, depending on the lender and market conditions. “A man builds a fine house and now he has a master, and a task for life; he is to furnish, watch, show it, and keep it in repair, the rest of his days.” — Ralph Waldo Emerson. We have come this far, and since it appears that you are considering opting for buying a house vs. renting one, we will carry on! Buying a home can be an intimidating task. However, you can convert it into a fun and rewarding experience if you have all your “ducks in a row” from the start. To start the process, let’s talk about the professional help that may be required to make the entire process work out smoothly. Your need for a realtor depends on how you decide to go about the process i.e. to go-it-alone or not. While I’m all for the DIY approach to most things, we worked with a realtor when buying our first house because we were newbie’s and were leery of making any fundamental errors during our first try at purchasing real estate in Canada. In Canada, realtors are licensed professionals who are members of a local board and also The Canadian Real Estate Association. Generally, a realtor interviews you to know what type of house you want to buy, the location you prefer, your price point and other characteristics/features you want in the house. Your realtor shops around for properties on sale that meet your needs and schedules appointments to view house listings. They may provide an “informal” home inspection by pointing out the pros and cons of each property and neighbourhood you visit and advise on the current state of the real estate market in general. If you decide you like a house, your realtor will help in writing up the offer and any counteroffers, negotiate on your behalf with the seller or seller’s agent; and coordinate closing. Depending on the realtor and your particular circumstances, realtors may also assist with other things. Having highlighted what the realtor can do for you, I have to say the experience I had with my realtor was not entirely positive. Remember, your realtor is an expert salesperson and may just want to close the deal, any deal, as soon as possible. After looking at a dozen houses or so and not deciding on any of them, our realtor shifted from pointing out the “pros and cons” to just plain trying to sell us a house even when it didn’t really meet what we were looking for. I don’t blame him, he just wanted to make a sale! Another thing to note is that although the seller of the property generally pays the commissions to the realtors (or real estate agents), you are indirectly footing the bill. There may be a significant difference in the listed price on a house advertised for sale by the owner (e.g. comFree.com) and that of a comparable house listed on REALTOR.ca. One reason for a potential difference in listed price (or final closing price) is because the seller of the owner-listed house is able to save on commissions of 5% or more (of the selling price) they would have paid to realtors. They are thus able to pass on some of these savings to the buyer. Therefore, if you are buying a house directly from a seller, plan to negotiate a significant discount whenever possible. Note: Some research shows that privately listed homes are more often priced higher than fair value. At a minimum, a realtor can be a helpful middleman when negotiating down sellers. In summary, if you are new to real estate, it’s probably a good idea to find yourself a good realtor and learn from their experiences. Shop around for a realtor you feel you can work with and who is willing to work with you. Ask for references from friends and family. If I had to buy another house in the future, with the experience I now have under my belt, I would most likely go the DIY route. A lawyer is a key player when buying a house, even more so than the realtor. To make things work out easier and cheaper, look for a lawyer who specializes in real estate transactions. Your lawyer does a number of things including conducting a title search to ensure there are no title defects or liens against the property and preparing legal paperwork and closing documents. They also help coordinate purchase title insurance (because title search is not infallible), payment for land transfer tax, PST/HST on CMHC insurance, the remainder of your down payment, and transfer of funds from your lender to the seller on closing. If you have decided to not use a realtor, your lawyer can also help you look over the offer to purchase agreement to ensure you are well protected before handing it over to the seller. Legal fees will vary depending on the complexity of the transaction and additional services provided by your lawyer. To avoid surprises, ask your lawyer to give you an all-inclusive quote before you get started. Here is another key player to the success of your home purchase. If you are not an expert and this is your first home, get a home inspection done! Your realtor can recommend a home inspector, or you can solicit references from friends and family, co-workers, etc. The home inspector will carry out a visual inspection of the property and tell you if there are any problems or repairs that need to be carried out. They may be able to give you an estimate of costs of repair and also note how soon repairs or replacements are required. The insurance broker helps you arrange your home insurance which is a requirement that must be in place before closing. Shop around for the best rates and coverage that meets your needs. Home insurance costs can be paid monthly or annually. Your lender may require that you obtain a property appraisal and recent property survey as part of your financing conditions. In my case, neither was required and I was able to avoid this expense. However, since the seller did not have a property survey, obtaining title insurance was high on my list of things to do. Appraisal: Refers to an estimation of the fair market value of a property by a certified professional (appraiser). When getting a mortgage, the estimated market value is known as the “appraised value”. It is also referred to as the lending value, and it may not necessarily equal the market value. As noted earlier, a lender may request that an appraisal is carried out before approving your mortgage loan. They make funds (mortgage loan) available to you to complete your real estate transaction. A lender could be any financial institution including banks, credit unions, trust companies, mortgage finance companies, insurance companies, etc. The lender may have in-house mortgage advisors who work with you in setting up the loan. Your mortgage payments go back to the lender based on the agreed payment schedule. Like I mentioned earlier, a mortgage broker is an intermediary between you and the lender. They are not always required. 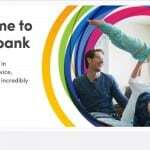 If you go directly to your bank (e.g. RBC, CIBC, TD), they have mortgage advisors or loan officers who will set up your loan. However, big banks rarely post the best mortgage rates available and bankers only sell their own products. They will rarely tell you if a better deal exists at another bank. This is where mortgage brokers come into play. They have vast knowledge, tools and lending options at their disposal which they can use to secure competitive mortgage rates. It is a free service to you. It is worth noting that mortgage brokers don’t usually recommend lenders who don’t pay them. That’s why mortgage rate comparison sites like RateSpy.com are increasing in popularity. They let you compare several rates from different brokers at the click of a mouse. With funding and professional help ready to go, it’s time to start your search. If you are using a realtor, they will use the criteria you have indicated to look for houses that meet your requirements. You can also conduct your own search on the side using readily available tools including online searches on real estate websites like – realtor.ca, comfree.com, point2homes.com, remax.ca, royallepage.ca, and century21.ca, and many more; classified ads in local newspapers, and houses with “FOR SALE” signs in the neighbourhood you’re interested in. When you find a house you want to buy, it’s time to submit an offer. The Offer to Purchase (OTP) is an important legal document and should be treated as such. It details the terms and conditions under which you are willing to purchase the property. Your offer may make your purchase of the house contingent on a satisfactory home inspection, financing approval, ability to sell your existing home, certain items being included or excluded in the sale price, a favourable appraisal, etc. To be on the safe side, you will want your realtor or lawyer to prepare or look over your OTP before it is submitted. This should be done to ensure that your rights and interests are well protected. If accepted by a buyer and signed by both parties, an OTP becomes a legally binding document. After your offer (OTP) is submitted, the seller may accept it as is, reject it, or make a counteroffer in a bid to negotiate price, terms, and/or conditions. If the seller is sending a counteroffer your way, you can decide to accept, reject, or counter their counteroffer. There is usually a time limit on when to respond to a counteroffer. There is no limit to the number of counteroffers that can be exchanged between the buyer and seller. It is negotiation time, baby! If your offer is accepted by the seller, it is now time to carry out the all-important home inspection by hiring a home inspector. They should provide you with an inspection report upon completion. It’s a good idea to be present when the home inspection is being conducted. 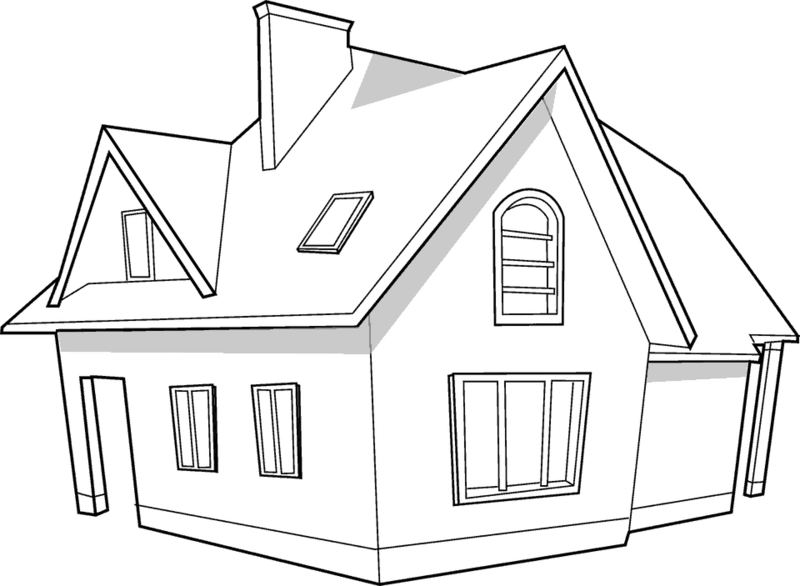 This way you can ask the home inspector questions, see what they do, pick their brain on how to maintain the house, and get an estimate on the cost of any necessary repairs the inspection unveils. From my experience, you will learn a lot by tagging along. The outcome of home inspection may vary. The report may give the house a clean bill of health, leaving you ecstatic and proceeding directly to closing. Alternatively, the home inspector may point out moderate issues (usually the case). Depending on what the issues are, you may want to negotiate with the seller to cover the cost of some or all of the repairs. Unfortunately, a home inspection may also turn up significant problems that make buying the house an onerous proposition. For instance, there may be significant structural problems that require an expensive fix and cost tens of thousands of dollars or even make the house unsafe. In such cases, your decision may be to walk away. Also note that major deficiencies—for example, like mould, large cracks in the foundation, knob and tube wiring, and asbestos insulation—may prevent you from mortgaging the property. Your lawyer will normally start handling things at this stage. You will need to finalize your mortgage loan at the lenders and sign all required documentation. You will be required to obtain homeowners insurance. Your lawyer serves as the intermediary between you, the lender, and the seller (or seller’s agent/lawyer). Functions your lawyer carries out at this stage may include: review of your offer to purchase, title search, purchase of title insurance, setup property tax payment to the municipality, prepare a statement of adjustments, facilitate transfer of funds from the lender to the seller, register the house in your name, collect the keys from the seller and deliver it to you, provide you a report of their dealings on your behalf. All accounts are settled. You have made preparations for packing and moving your belongings into your new home. Your pulse is racing and emotions are running high. Today is the day you take legal possession. Your lawyer hands you the keys! Congratulations, you are now a homeowner! It is advisable to do a final walk-through the house just before closing day to ensure everything is as they should be i.e. agreed-upon repairs were done, no obvious damage has occurred since the home inspection was conducted, appliances are still working, etc. That’s it, ladies and gents! While not intended to be an exhaustive guide, I’m hopeful this summary will simplify the house purchasing process and make it less intimidating for you. 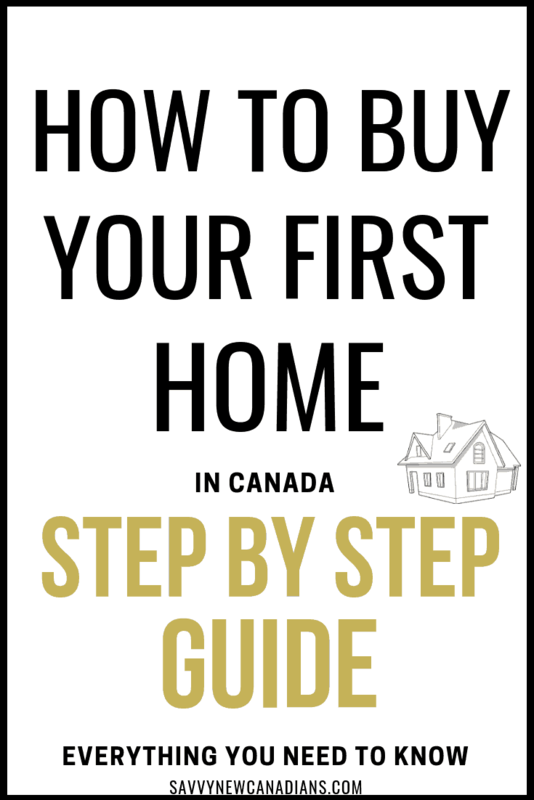 It’s my belief that the basics contained in this guide will be useful to all Canadians who are considering becoming first-time homeowners. Specifically, it’s my hope that “new” Canadians and immigrants to Canada will find this guide useful as they proceed to settle and plant roots in this wonderful country. While this guide cannot guarantee that you will be able to purchase (or afford) your dream home, it will definitely get you started on your homeownership journey! What Are Your Options As Mortgage Rates Rise?